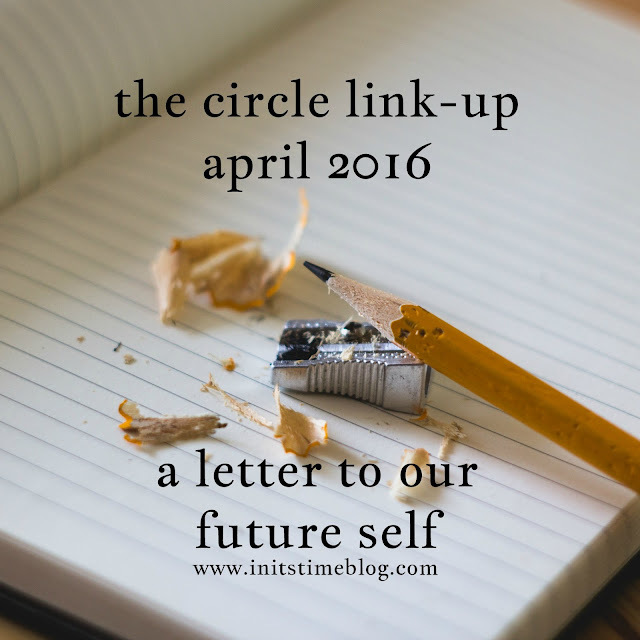 THE CIRCLE APRIL 2016 | LETTERS TO OUR FUTURE SELVES. Happy April, friends! This month is going to be a good one--and that's only because it's already been a good one. Spring is here, flowers are blooming, and the best part is that summer is on its way. I have yet to start a countdown, but you know that this girl's ready for her summer break. Anyway, back to the present--for now. This month's topic is to share a letter that we've written to ourselves, but ten years in the future. I'm so excited to see what you've written and what you have to tell yourself in the future! But before we jump into that, let me introduce you to this month's co-host. 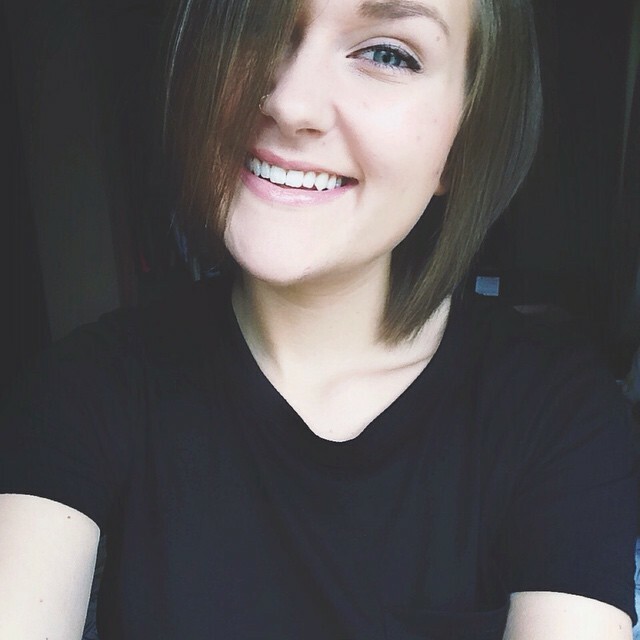 This girl is creative beyond measure, she's got a beautiful blog and she just bought a house AND is adopting a pup! You've just got to check out her blog to find out more, okay? Okay. Leah is a church secretary by day and blogger by night. She is recently married to her high school sweetheart Tyler and they recently added a rescue pup named Kane to their little family. She is a fan of spending hours with her nose in a book, sushi, and having a clean kitchen. Oh, and don't forget to check out Leah's blog to read her letter! How are your thirties treating you? It's a Saturday night and I've got the night to myself in my pajamas--snacking on homemade granola and hanging out with my family watching TV on in the background. I can't help but wonder if any of that is the same for you now. The more I think about myself in the future, the more uncertainties I know are there. And I want to tell you, as your younger self, that you probably still feel that way because some things just don't change. Anxious tendencies are hard to fight off, but I pray that your body still allows you to go on long runs to relieve stress, friends and family to talk to, worship music to listen to, journals to write in, and Jesus to pray and talk to. I hope and pray that no matter what's changed and what hasn't, that you're still striving to find and most importantly, enjoy the little things in life. That you're challenging yourself to find the joy even when the days are just plain terrible. 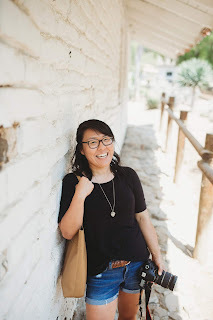 I hope you're still writing, whether or not it's here on this blog, pursuing Jesus, and still enjoying and loving kids--whether they're the kids in your classroom or maybe the kids in your home. I hope you haven't lost sight of your dreams--that you still long to (or have had the chance to???) adopt, have traveled, and have loved and been loved. I hope you've crossed off things on your bucket list and are adding to it as well. I hope you never stop dreaming, even if life has slowed you down in this department. Life is short--as it probably seems like you wrote this letter a few years back. I hope you're enjoying it and are making the most of 2026. It's your turn to link-up! Grab a button, enter in your link, and go check out everyone else's letters! Please remember that this isn't just a chance to promote your blog, it's a chance to meet others, too! Thanks for joining in and have fun! Soooo...I kind of sort of got swamped with work and life and failed on the brainstorming part of the topic for next month. Please forgive me? That said, I'll be announcing the topic on the blog and Facebook as soon as it's all planned out. So I'll see you there!